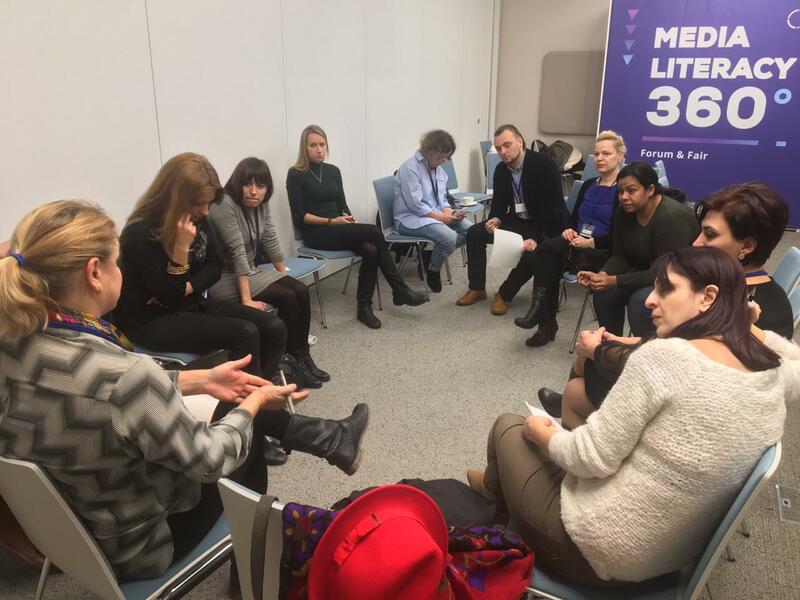 DEF participated in Media Literacy 360° Forum and Fair organised by Digital Communication Network and World Learning in Bratislava, Slovakia, on December 11-12, 2018. The two-day event gathered digital journalists, educators, entrepreneurs, civil society activists, and representatives of international organisations from 22 countries to acknowledge and connect existing media literacy initiatives, share best practices, and empower citizens to play an increasingly important role in combating misinformation. DEF Founder-Director Osama Manzar presented DEF’s innovative approaches in education, digital literacy for last mile communities, information access and enriching Internet with the voices of masses of diversity, culture, heritage & language. DEF conducted a workshop on preserving diversity on the internet and discussed with the participants various methodologies to take media and information literacy to their countries with authentic content. Alongside, DEF was voted to be the most attractive and creative booth at the forum. DEF highlighted the START programme for media and information literacy, Digital Roshni stories of women from rural India using internet in their everyday lives, products from the handloom communities using Internet and software to archive and create new designs amongst others.